Our History - ECO Certificazioni S.p.A.
European Certifying Organization S.p.A. was founded in 1996 with the mission of offering the best technical support services to professionals and companies. ECO CERTIFICAZIONI | European Certifying Organization S.p.A. is an accredited body for conformity assessment and offers certification, inspection and training services in the quality, safety, and automotive areas, with offices in Italy and around the world, as well as testing laboratories for homologation activities. Born from an idea of ​​the President Engineer Carlo Farina, ECO Certificazioni has doubled its turnover, tripled the number of employees and increased the number of collaborators over the years. Initially the idea of creating a Certifying Body – a union of skills that would attract resources from all over Italy to Romagna – seemed like a dream, but over the years, with passion, determination and great know-how, the idea became a reality. ECO Certificazioni obtained its accreditation in compliance with the requirements of the standard EN ISO/IEC 17021-1 to issue certifications according to the ISO 9001 Standard of company Quality Management Systems. A few years later, the accreditation also extended to the UNI CEI ISO/IEC 17020 standard for Inspection and UNI CEI ISO/IEC 17065 for Product Certification according to European Directives. Addestra was born from the considerable experience accrued in workplace safety and product conformity. In order to offer continuous updates to the network of ECO assessors and inspectors, Addestra was structured to also propose valuable training plans to the market thanks to its network of qualified teachers and instructors. Today, Addestra is an accredited body of the Emilia Romagna Region and is recognized by the National Council of Engineers. ECO Certificazioni opened ECO Middle East Engineering Services LLC in Dubai, a I level control agency (IB-068) accredited by the Dubai Accreditation Center which operates in Fairgrounds and Amusement Park Equipment inspection as a third party inspection body in compliance with the requirements of ISO/IEC 17020 and DAC-REQ-16. 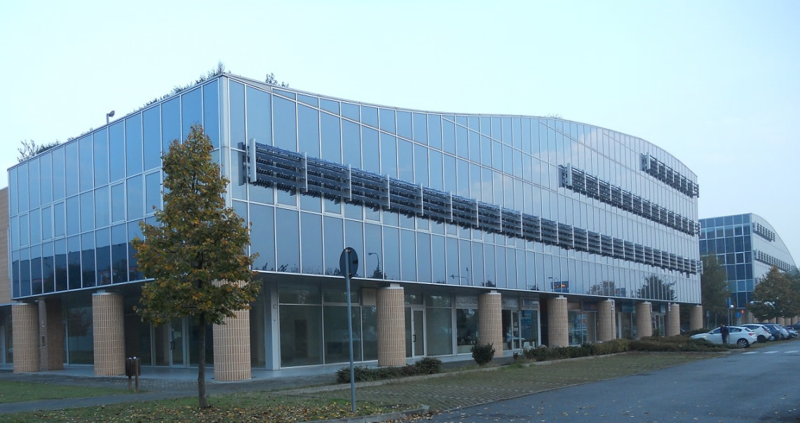 ECO Certificazioni opens the Laboratory of Emissions in Padua, a structure aimed at vehicle manufacturers of Cat. L. In the Laboratory there are an emission counter and a camera shed (diurnal and hot soak), accredited at Japan (PHP) and USA (40 CFR ). ECO Certifications obtains the exclusive recognition of European Technical Service Cat. B from the Republic of Cyprus – Road Transport Department (e49) | RTD-049-TS001-2017 for the European type approval of vehicles.